Fat Hamster - Does My Hamster Need To Lose Weight? 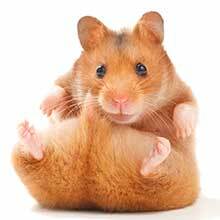 Home Hamsters Fat Hamster – Does My Hamster Need To Lose Weight? Are you afraid that you might have a fat hamster on your hands? Hamster obesity is a lot more common than you might think. Fat hamster videos are up all over YouTube, and you’ve probably at least seen a picture of a fat hamster on the internet. While these pictures and videos might be funny, obesity can take a tole on a hamster’s health just like any other animal. When hamster owners begin to notice a little bit of extra fat on their hamster, it is not uncommon to get worried. Many owners with chubby hamsters begin to think “do I have a fat hamster?” After all, no one wants their hamster’s health to suffer because of a little extra fat. But, how can you tell if your hamster is fat? And what can you do to prevent and treat fat hamsters? In this article, we’ll explain how to tell if your hamster is fat, give you an overview on what causes hamster obesity, and provide some tips on helping your hamster lose weight. The average weight of a hamster depends on what type of hamster you have. The Syrian hamster weights anywhere from 4.2-4.4 ounces. Anything over that and your pet could probably be considered a fat Syrian hamster. A dwarf hamster weights significantly less of course, usually around 1.5 – 2 ounces. For what weight your specific hamster should weigh, it is always best to talk to a vet that is informed and experienced with hamsters. If your hamster falls above these ranges, they are very likely overweight. Some factors contribute to a hamster being overweight. Much like other species, a hamster that eats too much or exercises too little will eventually become overweight. Hamsters, though, also have a couple of other factors that can contribute to them becoming overweight. In fact, many species of hamsters can become overweight without overeating or under-exercising. This study found that even rats who did not overeat who were given high-fat diets tripled their weight gain and nearly doubled their body fat in a month. Another study found that hamsters are also likely to become overweight if they are fed a high amount of simple carbohydrates with lipids (fats). Some of this increase in weight, however, was contributed to inflammation. Generally, hamsters should only consume approximately 4 to 20 percent fat in their diet. Therefore, if fed an improper diet, hamsters can easily become overweight, even if they are not necessarily overeating. Hamsters also fluctuate in weight with the seasons. In the winter when it gets darker earlier, hamsters commonly gain weight. This is due to an increase of melatonin and is a natural result of the hamster “preparing” for winter. When it becomes lighter for longer in the summer, hamsters will commonly under eat, which results in them returning to a normal weight. Many types of hamsters are prone to diabetes, and being fat only exacerbates this probability. One study found that prediabetic hamsters were less likely to become diabetic when put on a restricted fat diet. Since rats on restricted fat diets were also less likely to become obese, it is possible that these two disorders are connected. 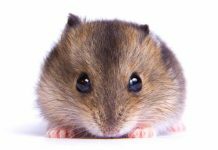 While there has not been extensive research done yet, if you have a dwarf hamster that is prone to diabetes, you might want to pay extra attention to their weight. If you have realized that your hamster is fat, the next step is to get them down to a healthy weight. This is done largely by controlling their diet and exercise. NOTE: While you can cause a hamster to lose weight by increasing the amount of light they are exposed to (ie. mimicking the onset of summer), this is NOT recommended. Changing a hamster’s melatonin levels can result in unintended side effects. For this reason, close veterinary observation is required. One safe way to reduce a hamster’s bodyweight is by putting them on a diet hamster food. Most diet hamster food will fall into two categories: low fat or low calorie. While both are effective in their ways, low fat tends to work better. Low-calorie food may not fill your hamster up or give them the energy they need. Low-fat diets will fill your hamster up while still allowing them to lose weight. Hamsters that eat low-fat diets have considerably less body fat than those on high-fat diets. Hamsters on high-fat diets can easily develop a leptin resistance, which can make them even more likely to be overweight. Bear in mind, you don’t want to decrease your hamster’s fat so much that it causes dietary deficiencies. The key is to feed your hamster a balanced diet that is not extreme in any way. Now, let’s look at some diet hamster foods that are a great choice for hamsters! Most usual healthy diets for hamsters will work great for helping your pet lose weight as long as they are fed as instructed. You should also refrain from feeding too many treats when your hamster needs to lose weight. While a piece of celery might seem like a small snack, it can add up over time. This diet hamster food contains larger, crunchy pieces to slow down your hamster’s eating speed and allow them to enjoy eating without overeating. These larger pieces also help support dental health through natural chewing. Prebiotics and probiotics have also been added to support digestive health. Despite being a diet hamster food, it is also nutritionally complete. It has only 6% crude fat, which is just right for a hamster on a diet. This is a blend of timothy hay, oats, and barley. It is a complete, balanced diet that can help your hamster lose weight if fed as directed. It contains no seeds, high-sugar fruits, or artificial preservative, colors, or flavors. Being obese can have serious effects on your fat hamster. We recommend speaking to your vet if your hamster is obese, especially if their species is prone to diabetes. 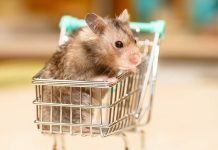 If you do discover that your hamster is obese, choosing a hamster food that we mentioned in this article can be a huge help. For more healthy hamster food ideas, visit our Best Hamster Food article. 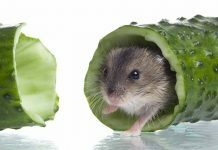 And to get your little pal into healthy eating habits, this article is all about meal times, and how often to feed your hamster. Do You Have The Fattest Hamster? Has a love of treats gotten the better of your hamster friend? What steps are you taking to get them back in shape? Share your journey with other hamster owners using the comments box below! 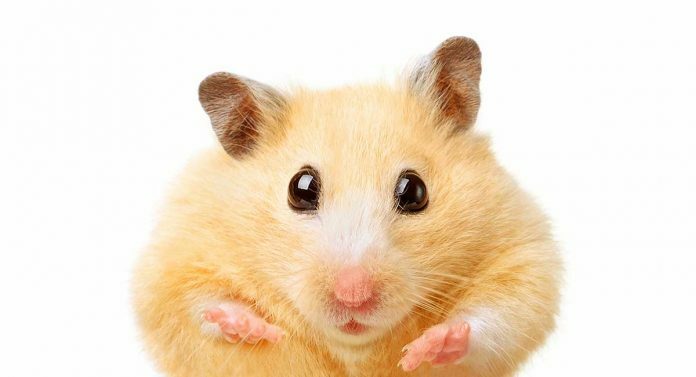 “Biology of the Hamster.” Louisiana Veterinary Medical Association. Wade, George. “Obesity without overeating in golden hamsters.” Physiology & Behavior. 1982. Da Silva, Vivian Jordania. “Obesity induction in hamster that mimics the human clinical condition.” Experimental Animals. 2017. “Nutrient Requirements of the Hamster.” Nutrient Requirements of Laboratory Animals. 1995. Wade. “Seasonal obesity in Syrian hamsters: effects of age, diet, photoperiod, and melatonin.” American Journal of Physiology. 1984. Gerritsen. “Effect of diet limitation on the development of diabetes in prediabetic Chinese hamsters.” Diabetologia. 1974. Zhao, Ying. “Leptin resistance was involved in susceptibility to overweight in the striped hamster re-fed with high fat diet.” Scientific Report. 2018.